REFILL SERVICE – Save Money! Then you get to ENJOY your candles! Again and again and again and again……….! Refill costs vary depending on the size of your container. 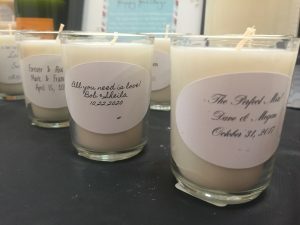 As a guide, price for the Soy Wax per oz -$ .85 per oz Factory Outlet Prices and price for the Bees Wax per oz -$ 1.25 per oz Factory Outlet Prices, your standard drinking glass is 8 oz. Bring in all your containers and we will fill them up with water to confirm the oz total to pay, you than pre-pay for your refill and we will contact you when it is ready for pick up! WHO CAN GET A REFILL? We can offer the refill service for anyone who will drop off empty containers and pick up the finished product. WHAT TYPE OF CONTAINERS? 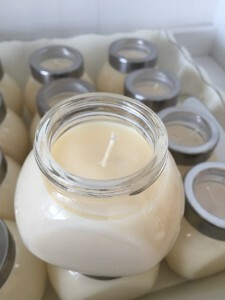 With Soy you can fill any type of container as it is the lowest heat/temperature candles while burning yet the Beeswax is the highest heated/temperature while burning therefore if you want beeswax bring in thicker containers. WHAT CAN I GET REFILLED? We can refill any glass container with 100% pure beeswax unscented and natural soy wax with your choice of fragrance (100+ scents). So if you already have containers you love, don’t throw them out – refill them! HOW LONG WILL IT TAKE TO REFILL? Quick turn around, next day if wanted quickly. During the busy season October – December it may take up to 3-5 business days, we will let you know the moment you come by for drop off if there will be a longer wait time than 24 hours. If you need it that day our only request is that you bring it in the morning for it to have time to cool before picking it up. WHAT TO DO WHEN YOU BRING IN YOUR CONTAINERS? Containers should be dropped off clean and in a ready to fill condition. We will get you to fill out a quick contact sheet (this is only for new customers) so we know how to contact you when your candles are ready we will contact you via text, phone or email to pick up. 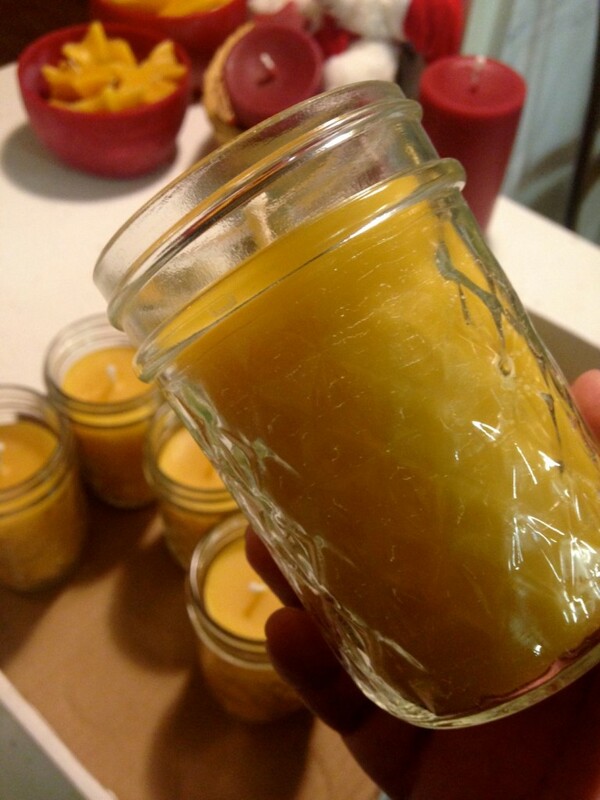 Let us know what type of wax (Soy or Beeswax). 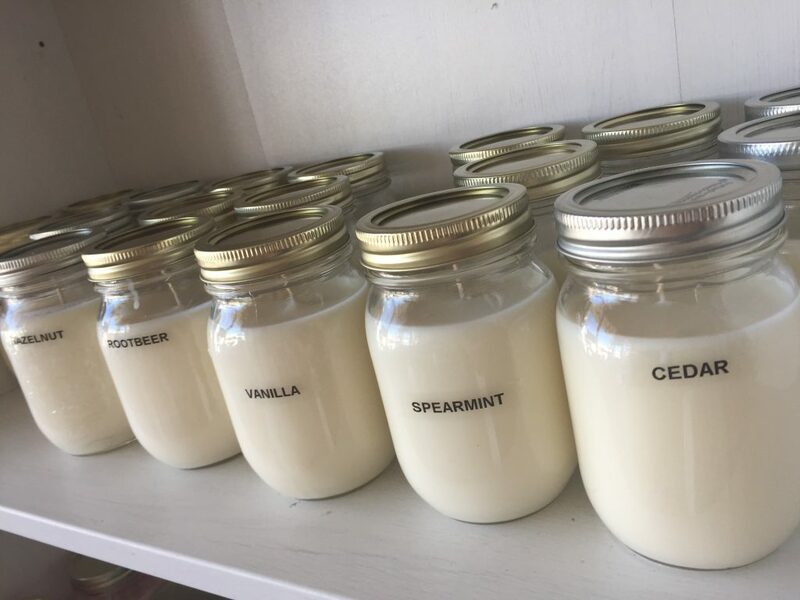 If Soy than let us know your choice of scent per jar. (see scent list below 100+ list). 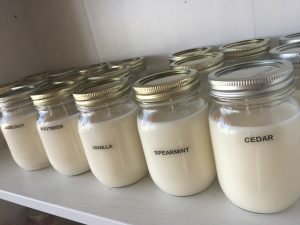 Color of Beeswax is Golden and Soy Wax is a pure ivory white but if you are wanting a color or layers of colors in a jar than let us know when you drop off as it will be an extra .05 per ounce. We will fill all your containers up with water to confirm the oz total to pay, you than pre-pay for your refills and we will contact you when it is ready for pick up! We periodically have incredible deals throughout the year and the number one source of us letting you know is via your email address and/or text message therefore on the contact sheet do not forget to put your email address and cell #, print it out clearly. Tuesday-Wednesday 11am – 5pm, Thursday 11am – 7pm . Friday-Saturday 12-5pm .